This article is the third article in a series about the Target Eye Monitoring System, developed from 2000, and till 2010. The first article was about Target Eye's Auto Update mechanism, and how it is capable of checking for updates, downloading them when there are, installing them and running them instead of the old version currently running, all of the above, with no end-user intervention. The second article was about the Target Eye's screen capturing mechanism, and how compact JPG files are created combining a reasonable image quality and a small footprint. This article is about the Shopping List mechanism. Forth article is about Keyboard Capturing. Fifth article is about the Cover Story mechanism. The sixth article is about hiding files the Target Eye way. 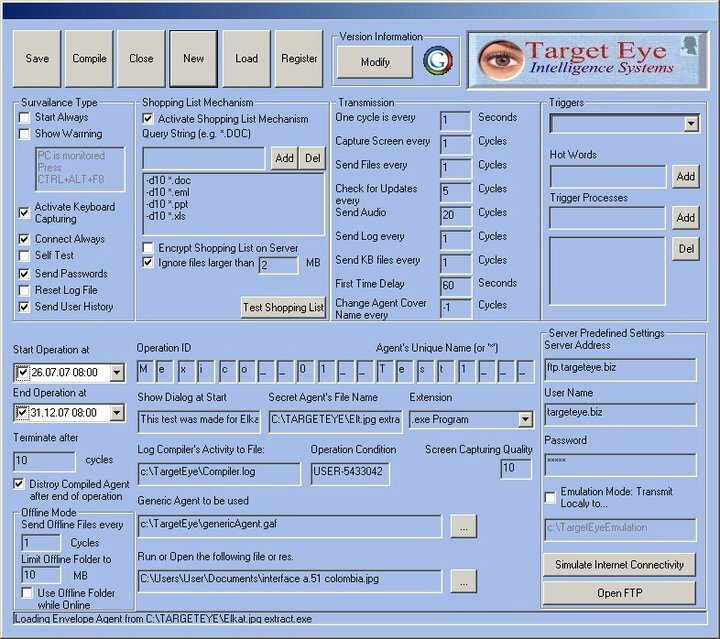 Target Eye Monitoring System™ has a unique mechanism for bi-directional files requests from the monitored computer. Using the Shopping List Mechanism, the operator can define requests as for which criteria to be used, and then, to modify these requests on the fly. The Shopping List is in fact, a file, managed manually by the Operator, and the Secret Agent. The Operator defines the queries, and then manipulate and edit them, as well as their results, while the Secret Agent execute them and marks which one of the requested files we sent. The Shopping List is constantly updated by the Secret Agent, and as a result, it can be used to get an updated view of the operation activity. In order of doing so, the Shopping List file is placed on the Server, and can be identified by it's unique naming structure. There are different types of entries which can be part of the Shopping List. When the Operator needs a specific file, knowing it's exact location, a Single Request is used. When the Operator needs all files of a certain type, with or without specific name, a Simple Query is used. Such query will always start with [Q] and will use SQL syntax to define the criteria. Files specified or found as a result of a query can not only be copied, but also deleted. When the Operator wishes to delete a single or several files, with or without specific name, a Simple Delete Query is used. Such query will always start with [D] and will use the Shopping List syntax to define the criteria. will delete all Word documents with the string "spy" as part of their names. This is where a list of initial queries is entered. You can enter a number of queries, one after the other. When this checkbox is checked, the Shopping List file will be encrypted on the Server. When it is unchecked, it is possible to use the Explorer to modify and edit this file on the fly, while getting faster results from the Secret Agent. For example: adding a new query. When the file is encrypted, the Target Eye Decryptor tool is required to make any changes. When this checkbox is checked, the amount of MB indicated bellow, are the higher limit of files that will be sent to the Server. Files which are larger than that size will be ignored. 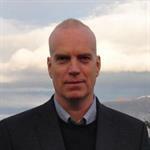 The Target Eye had a Compiler that was used along the evolution of the application to customize the "Secret Agent' part based on predefined and dynamically changed settings. While developing Target Eye I checked many methods for performing mass searching in a computer. The purpose was to find a way to search for thousand of files in seconds, scanning all drive letters, and building a list of results. Unless specified otherwise, and due to the nature of Target Eye to gather information, a query is executed while searching all drive letters and all folders in the monitored PC. ReturnFolders - indicates if folders are also included in the search results. FALSE by default. Days - number of days the found files should have been last accessed. fullname will now hold the result of the query. size contains the size of the files found in total. That is important for a monitoring application as we need to know how much data we need to send to the operator. Now we can go one level above an examine the way the Shopping List was managed. A Mission - a request to perform an action. There are many possible actions (for example, capturing the screen, as described in an other article of mine). Since the scope of this article is the Shopping List mechanism, the Mission that is associated with the Shopping List could be copy or delete a file. The first thing that is done is building the initial query. This query is built according to the settings defined in the Target Eye Compiler. The initial query can be a combination of several queries. For example: the query "*.doc;*.xls" encapsulates two queries; "*.doc" (all files ending with ".doc") and "*.xls" (all files ending with ".xls"). Before we bring the source code, I'd like to explain the idea behind the Shopping List synchronization. Since the Shopping List can be updated by both the client (Target Eye Secret Agent) and the server (Target Eye operator), there is a process for synchronizing the changes, so the Secret Agent is being notified about any change made by the operator (for example: if the operator removes a mission to copy a certain file, this file will not be copied), and the operator is being notified of any changes made by the client, namely, being updated about the progress of fulfilling the list of missions given to the Secret Agent. Most of the Shopping List related routines contains a part where the local shopping list is updated (or created) and a part where the shopping list is synchronized so the changes apply to the server version. This routine is called when there is no local shopping list yet and it should be built based on the settings defined by the operator. The functions that calls TE_BuildInitQuery is CreateDefShoppingList() which then saves the separated queries into the local Shopping List. Then the local shopping list is synchronized with the server. The last missing link in the explanation is the procedure of expanding a query into its results, while the results replace the query in the Shopping List. At this stage the local Shopping List is synced with the server. The file found marked as a file yet to be copied. For example: "[ ] result.doc"
Additional Information such as date, size, etc. The TE_Encode and TE_Decode are macros used to handle encryption. This article hasn't covered many additional options the Shopping List mechanism has, mostly to preserve a readable article. Which of the two contradicting licenses applies? And why are there two licenses to begin with? Sorry for the late reply. I fixed that. I don't quite get it..
On one hand, your article states that it is subject to the CPOL. In the very next paragraph, the article asserts that it is subject to very different terms. Forgive my naivety, but it appears that the terms you state explicitly are at odds with those of the CPOL. So, as the question title asks, which terms actually apply to this article and the code contained within it? Re: So, which license applies? The other paragraph, at the end of the article set the terms. CPOL is set by default. Looking forward for the next chapter.... Great work!